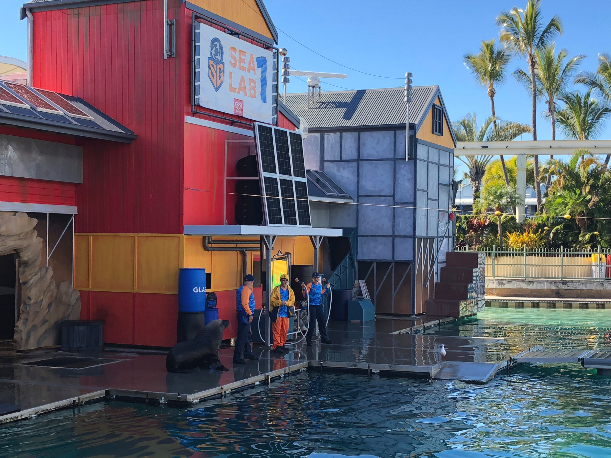 If you are on the Gold Coast, a day at Seaworld is guaranteed to delight the whole family whilst educating them on our beautiful marine life. What is there to do at Seaworld? 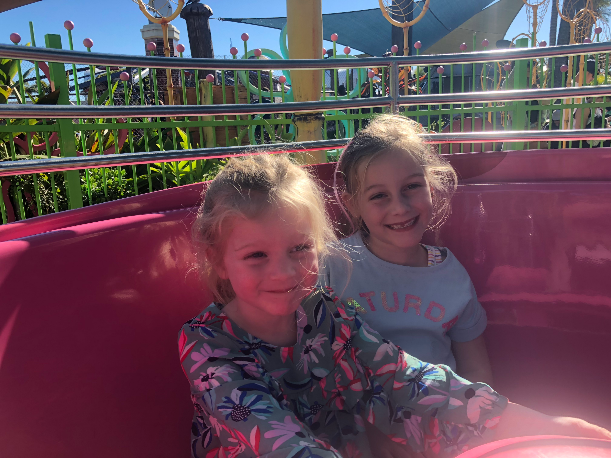 There is lots to do at Seaworld, whether you like to go on rides, see live shows and presentations, get up close and personal with the animals or just play, there is something for everyone. There is a Nickelodeon area for the little ones with a small rollercoaster and other tiny tot based rides including Boots Bananas and a Bikini Bottom Jellyfish spinning teacup style ride. There is a water park for the kids to run around in their swimmers and nearby, a cubby/treehouse ropes course which is completely huge – beware – it can be really hard to get the kids out of here once they’re inside. There is also a monorail that takes you on a scenic lap of the park with stops in various locations for convenience. 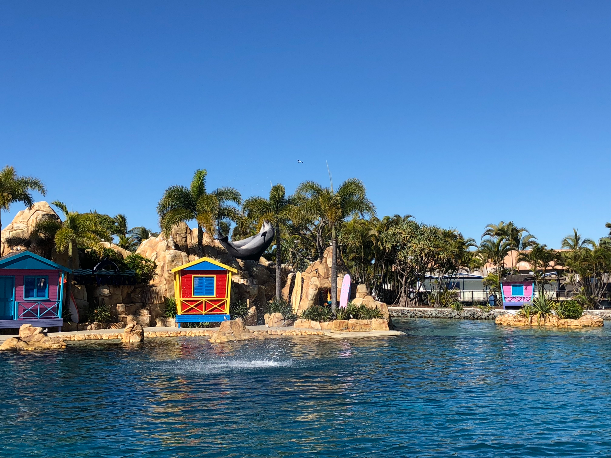 There are a handful of live shows and events to check out at Seaworld but we picked the ones that were best suited to our family. If you love an action packed show, there is a high power jet ski stunt show that happens right at the front gates of Seaworld. 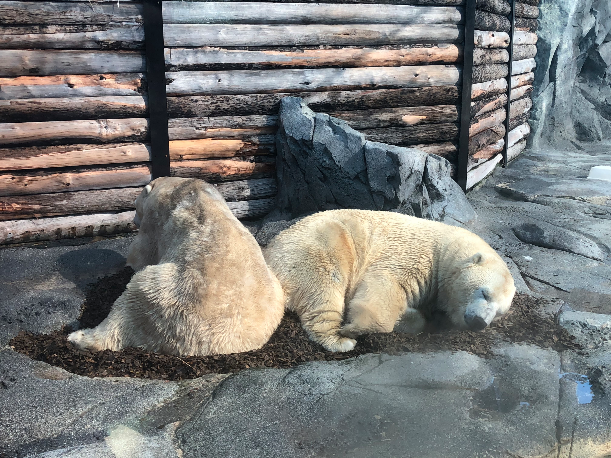 Our family enjoyed the Seal Guardians Presentation where we learned about the importance of recycling and ensuring our waste ends up in the right places so it doesn’t harm our marine life. The clever seals demonstrated what can happen when garbage gets tangled up in the oceans. 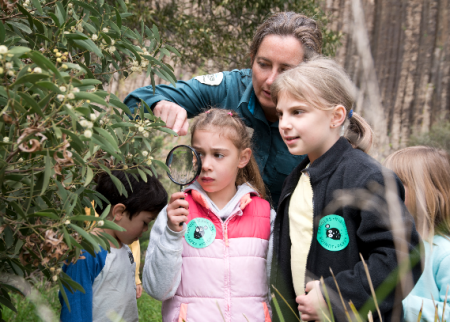 We also delighted in seeing the penguins getting fed and hearing about their diets, their breeding program and learning which ones were boys and which were girls. There are two dolphin presentations, but we chose to watch the Affinity Dolphin Presentation where we saw the bond that forms between dolphins and humans. This amazing show had the crowd oohing, aahing and clapping at how clever and loving the dolphins are. 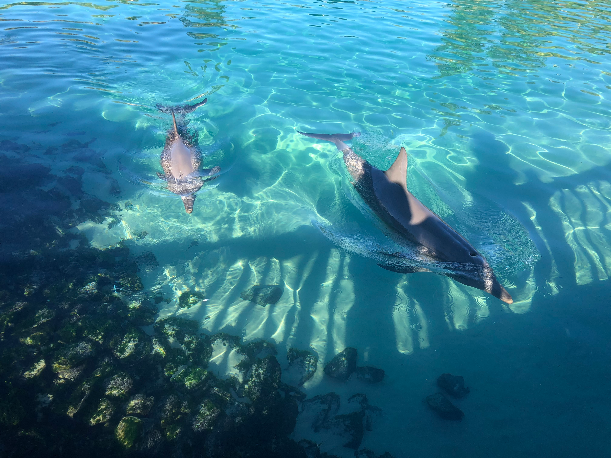 There’s lots of marine animals to see at Seaworld and they have their own distinct zones in the park. There is Penguin Point where you can pop by to see the Penguins being fed throughout the day, Shark Bay where you can see the sharks, manta rays, fish and more swimming together, or you can even take a glass bottom boat ride and see them swimming beneath you. You can also head underground to see them from the aquarium. There are dolphins and seals, both of which you can have a close encounter with if you like. 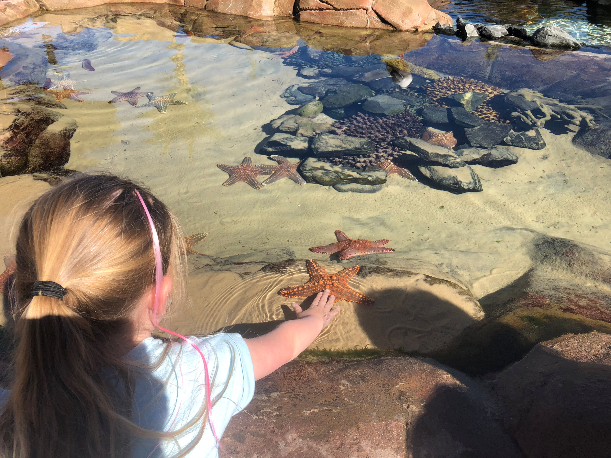 There are touch pools where you can feel starfish and sea cucumbers and you can also pat a stingray if you are lucky enough for them to come up close.